We're excited to announce our newest member of our team, Lisa! Lisa recently moved to sunny Brisbane from Auckland, New Zealand where she was working with Air New Zealand as their Digital Transformation Change Lead. She has worked across a range of industries including, online gaming (Outsmart Games), music (Serato), accounting (Xero) and airlines (Air NZ) and brings broad experience in product management, change, digital impact and agile coaching. Lisa is passionate about helping people be their best and influencing a better world through mindful communication and compassion. Through coaching she is able to fulfil that passion and helps improve outcomes for individuals, teams and organisations. 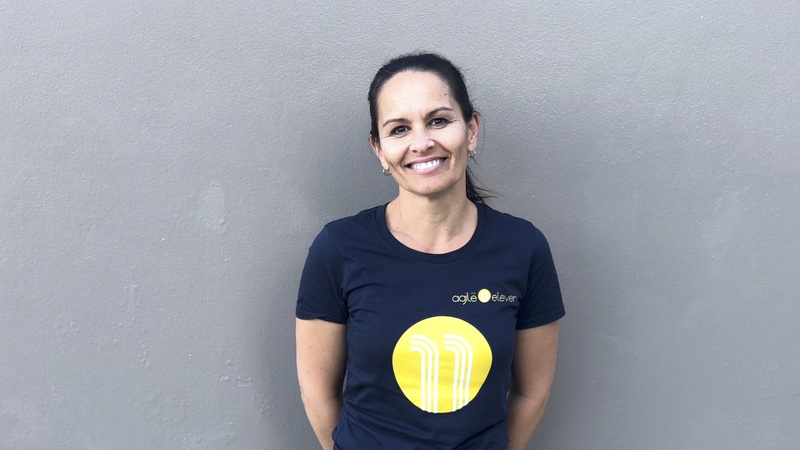 Being our first Enterprise Agile Coach to be based outside of Melbourne, Lisa is super excited to share The Agile Eleven approach with the Queensland market. During her personal time, you can find Lisa on the tennis court, enjoying the beach with her family or reading about human behaviour, personal development and business. Curiosity has been the seed that has led Lisa to her current role and place in life and she has no intention to ever stop learning.